Put a DEI sticker in your space to show your support for our work. The college launches plan to promote diversity, equity and inclusion. OSU research keeps diversity at the forefront. The need for direct, active and honest attention to equity, inclusivity and diversity is as urgent today as ever. Our world faces social, economic and environmental challenges of unprecedented complexity and scale. The College of Forestry is committed to addressing those challenges in the realm of forestry and natural resource management - whether it be through education, research or public engagement. We intend to draw fully and inclusively on the power and force of human imagination, experience and creativity to meet the needs of today’s world. 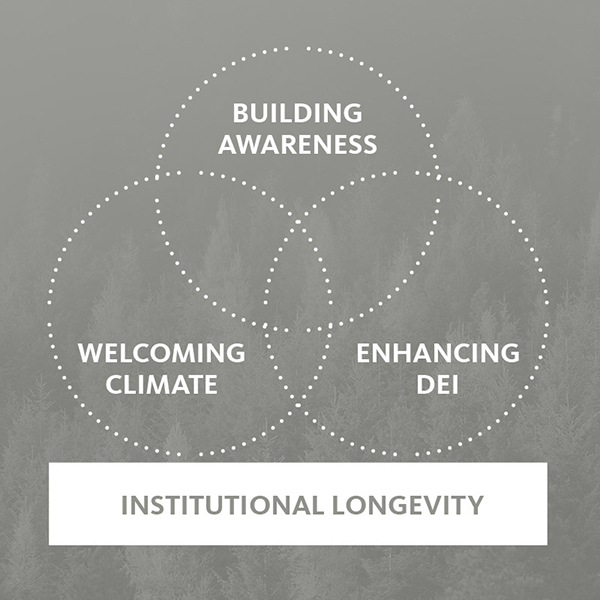 The College of Forestry will embrace the distinctive qualities of all members of the community. 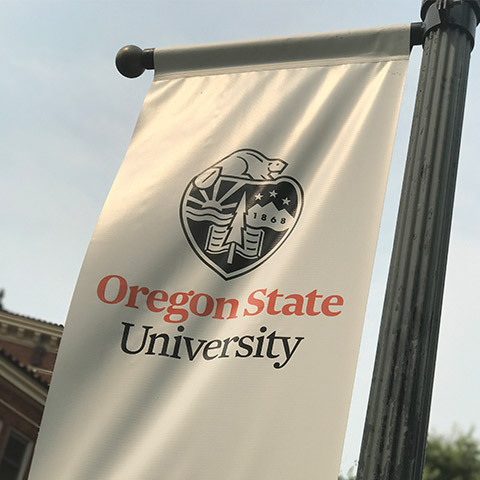 We recognize that equity, inclusion and diversity are foundational values of OSU as an institution and pillars of excellence, enhancing all of the College's missions. Diversity is the spectrum of differences members of the College of Forestry bring to our community through their variety of backgrounds, experiences and views. Embracing diversity is about moving beyond tolerance to understanding and appreciating each other by respecting and celebrating diversity in each individual and the college as a whole. Equity is the guarantee of fair treatment and access to opportunities that provide the chance for everyone at the College of Forestry to succeed. Equity seeks to reduce barriers that prevent some groups and individuals from fully participating. Inclusion is working together to create an open and welcoming environment that respects and affirms the inherent dignity, value and uniqueness of all individuals and groups. Inclusive practices reflect awareness and understanding of the complexity of identity and the diversity in the world. Build foundational knowledge and provide support to increase awareness of Diversity, Equity and Inclusion issues and resources among College of Forestry members. Create and present an environment that values and promotes the diversity of all College of Forestry members and guests by facilitating their full inclusion into the community. Enhance Diversity, Equity and Inclusion in the College of Forestry, primarily through recruitment and retention of diverse faculty, staff and students. Make Diversity, Equity and Inclusion an integrated, consistent, meaningful and continual part of the College of Forestry community. Learn more about our strategies to promote diversity, equity, and inclusion within the College of Forestry.